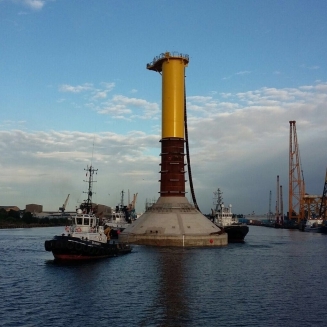 The foundations for the wind turbines will be installed off the Northumberland coast and will be held in place by the force of gravity. The gravity-base foundations were designed by BAM Nuttall Ltd. and BAM Infra B.V. The contract to design, fabricate and install the foundations has been awarded to BAM by EDF Energy Renewables.